Are you interested in designing, redesigning and optimizing parts using CAD and 3D printing? Do you want to produce and evaluate 3D-printed products from your company? Do you want to learn the unique capabilities and guidelines of DfAM to unleash the power of additive manufacturing? You are invited to attend a course on design for additive manufacturing (DfAM). Topics include the consolidation of many parts into a fewer number of them, topology optimization, lattice/mesh structures and other methods of DfAM. Participants will gain valuable hands-on experience by designing parts for additive manufacturing and building them on industrial AM equipment. This course is being held in collaboration with CRIQ, a leader in the 3D products and services industry. 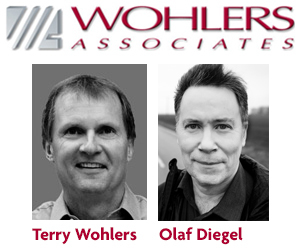 This course is offered by Wohlers Associates with lead instructor Olaf Diegel, world-renounced designer and DfAM expert. The DfAM course is targeted at designers, engineers, and managers wanting to learn how to design parts that fully benefit from additive manufacturing. It is ideal for those involved in aerospace, medical, motor sports, industrial machinery, automotive, and niche consumer products. Language : This seminar is offered in English only. This cost includes the three-day course, lunch and a cocktail reception on June 14. Number of places limited. Register now! Click here to consult the training plan. You are invited to attend a course on design for additive manufacturing (DfAM). Topics include the consolidation of many parts into a fewer number of them, topology optimization, lattice/mesh structures, and other methods of DfAM. Participants will gain valuable hands-on experience by designing parts for additive manufacturing and building them on industrial AM equipment. This course is being held in collaboration with CRIQ, a leader in the 3D products and services industry.